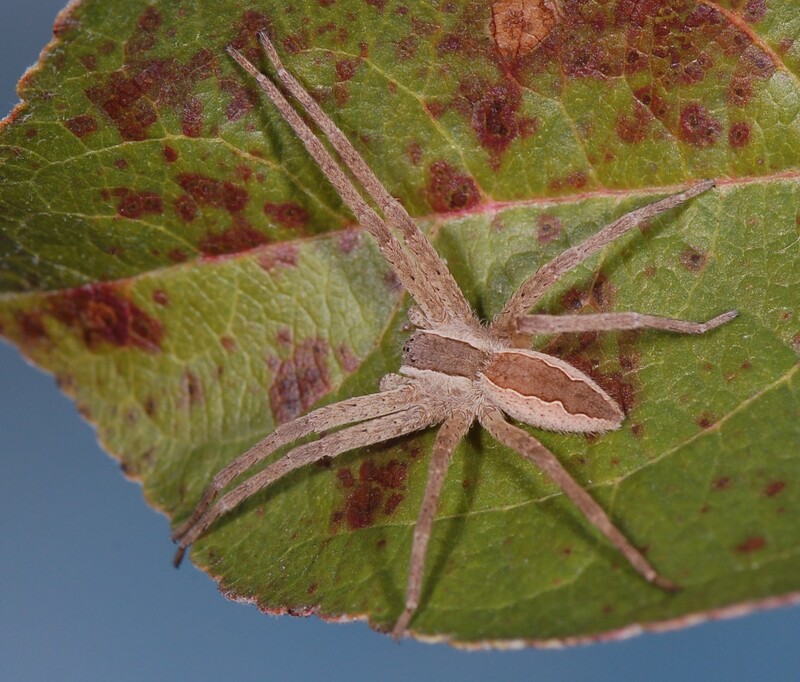 There are 9 species of nursery web or fishing spiders known from Ohio. This represents about 1% of our spider species. A few species are very common. 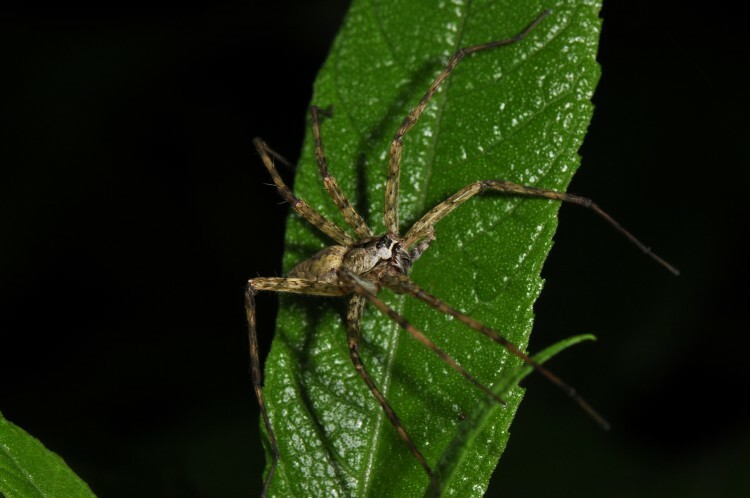 There are two genera of nursery web spiders in Ohio. The six species of Dolomedes are very large and most are found near water. 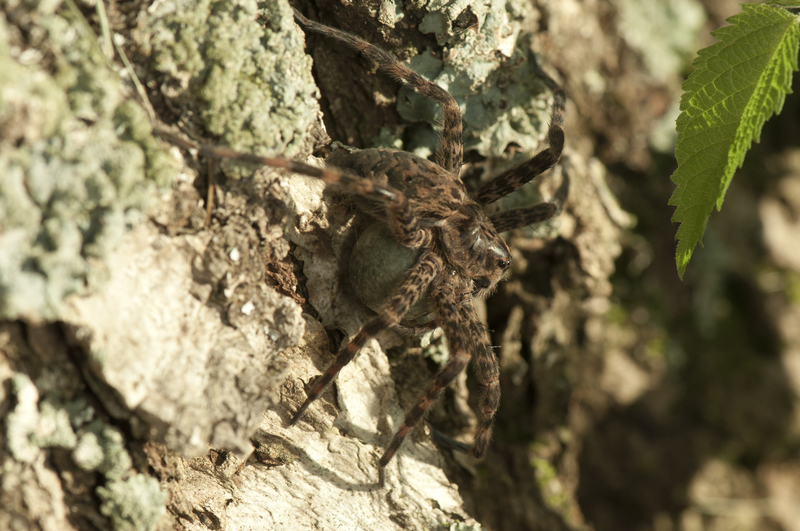 They are often called fishing spiders. The other three species are medium-sized to large and members of the genus Pisaurina. The species of Pisaurina are called nursery web spiders. Adult female Dolomedes have the largest leg span of any spiders in Ohio, sometimes exceeding 3 inches. These active and seemingly aggressive spiders can be quite startling when encountered, yet there is little evidence of them biting humans. 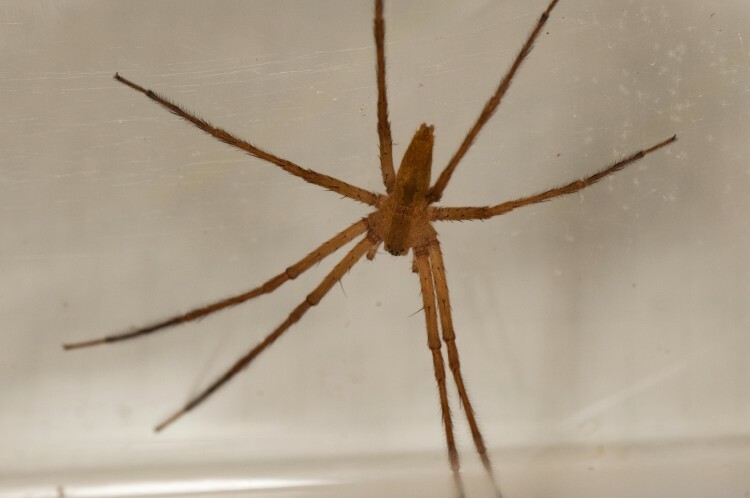 The only reports are from spider researchers being bitten while handling individuals in captivity. 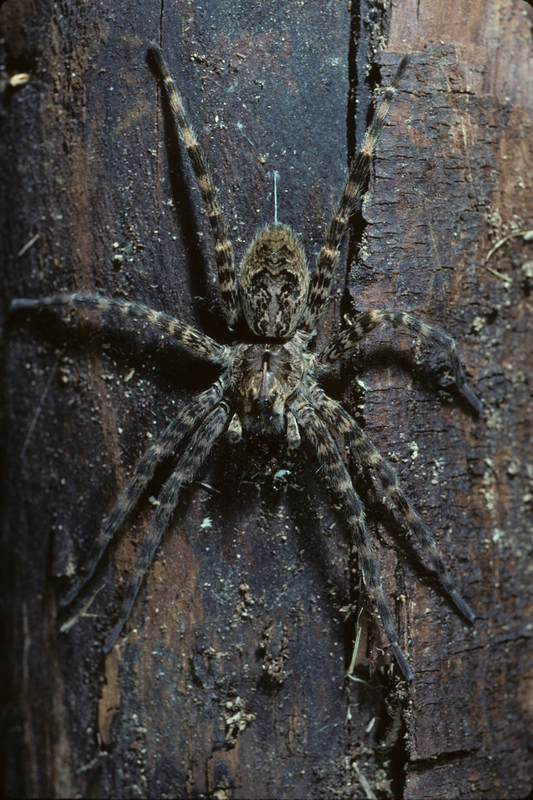 The large Dolomedes tenebrosus of our moist forests is a common nocturnal hunter found primarily on fallen logs and the trunks of trees. 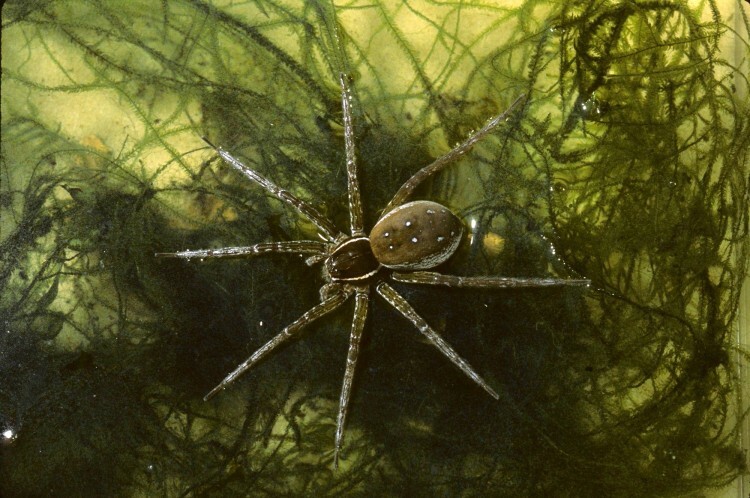 The other species of Dolomedes are most often found near water. 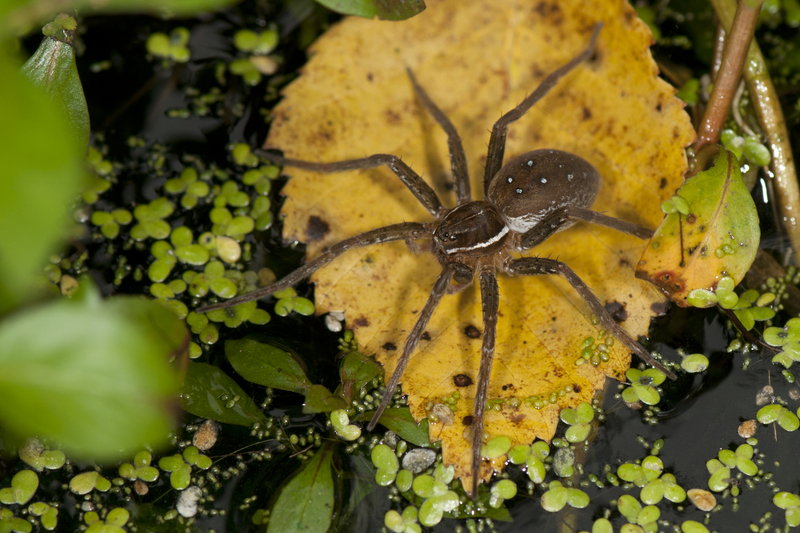 The Sixspotted Fishing Spider (Dolomedes triton) is aquatic and can be seen skimming over the surface of small permanent ponds where it preys upon large aquatic insects, tadpoles, and small fish. The species of Pisuarina hunt in the foliage of plants. 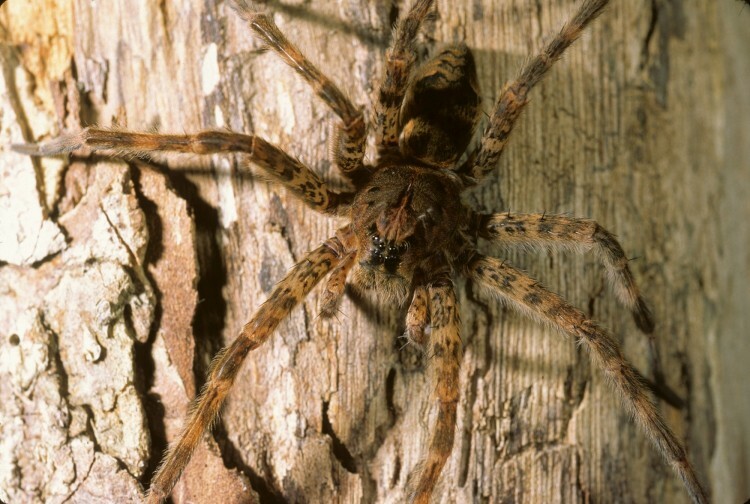 They are among the most common nocturnal spiders in fields and on shrubs and the lower branches of trees. 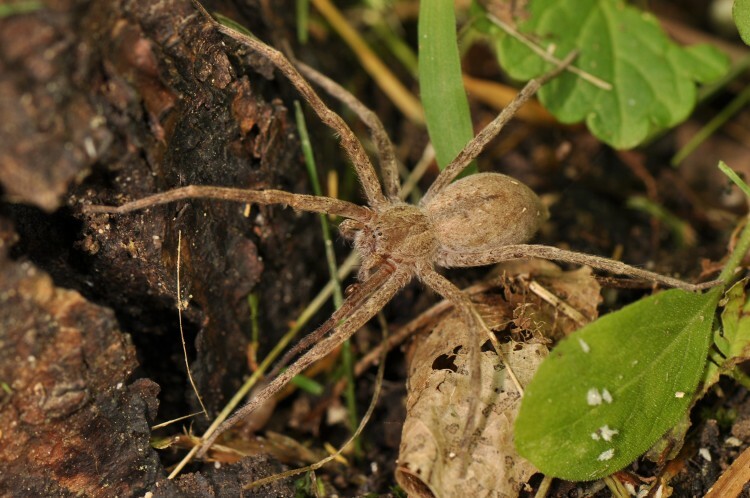 Nursery web spiders mature and reproduce during spring and summer. 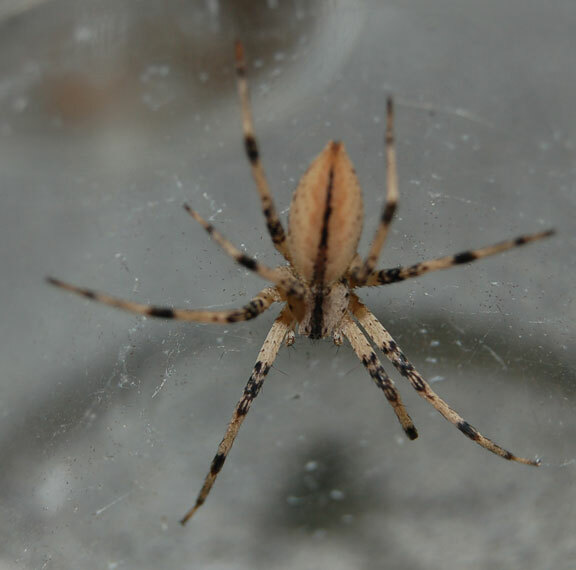 Females carry the egg sac with their palps and jaws. As the young in the egg sac mature, the females wrap a leaf with silk, forming a curled tent with a tangle of threads below. Within this shelter they guard the egg sac until the young emerge and eventually disperse. The mother spider stands near the nursery web, presumably to protect her young.